SEC whistleblower tips up in 2015. The Security and Exchange Commission’s Office of the Whistleblower released its annual report on whistleblowers which showed that whistleblower tips are on the rise. The Office received almost 4,000 tips in 2015 – a 30% rise in the number of whistleblower tips since 2012, – and paid out about $37 million to whistleblowers. Whistleblowers are eligible for financial awards if a tip results in a fine or judgment totaling over $1 million. 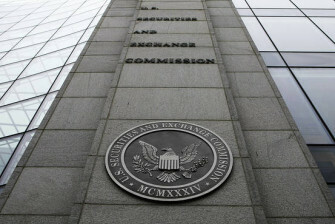 “We believe this uptick in whistleblower award claims is attributable to the increased public awareness of the SEC’s whistleblower program and in response to the tens of millions of dollars that have been paid to whistleblowers under the program,” Sean X. McKessy, the chief of the SEC’s Office of the Whistleblower said in a statement. Over the life of the program, which was created by the Dodd-Frank Act of 2010, the SEC has paid more than $52 million to 22 whistleblowers who brought tips , the agency said. During the 2015 fiscal year, which ended Sept. 30, the SEC paid out roughly $37 million to whistleblowers who alerted the agency to major frauds and other misconduct. The amount an individual can receive is determined by the total monetary penalty, but whistleblowers receive anywhere from 10% – 30% of the total amount of the sanction. The awards are paid out of a separate account maintained by the SEC and funded by enforcement sanctions. This special whistleblower account finished the last fiscal year with a balance of about $400 million. The report also shared some insight on where the whistleblower tips originated: about half of the tips came from former or current employees, while the rest came from a variety of sources outside the companies. Of the tips that came from employees, 8 out of 10 of those whistleblowers had attempted to resolve issues internally before blowing the whistle. Read the SEC 2015 Annual Report here.